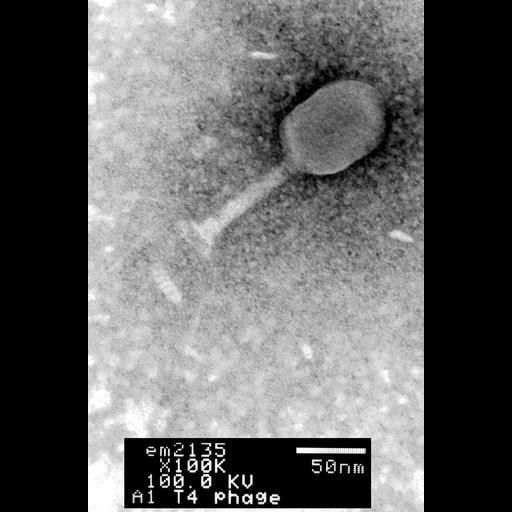 Transmission electron microscope image of T4Phage, a bacteriophage that infects Escherichia coli bacteria. This image is part of an image group (CIL:41124-41131). Images collected on a JEOL 1010 TEM. Please refer to http://remf.dartmouth.edu:8080/EM-Wiki for details on specimen preparation.